HOT churchly - it represented the developers of universal template HotJoomla (design studio), which supports version Joomla, as 2.5x and 3.0x. The template has a light design, which includes three color themes, containing a different image for the background. This template is designed for this, the framework, having versatility as Sparky Framework, allowing at the model not only to make changes to each of the parameters, but also for the location on the site optimally all the elements to create modular new positions. Also, to increase in template features included in it all the necessary extensions. Added to the template to the contents of the site was an opportunity to work a flexible content management is such a popular manager as K2. 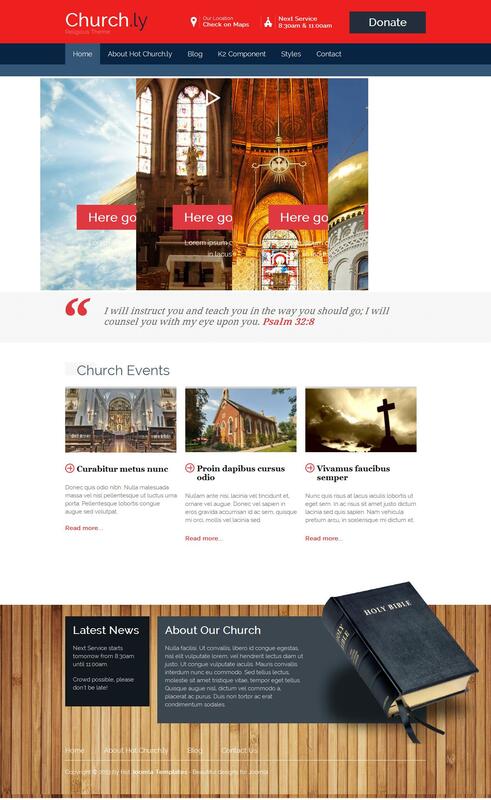 In this HOT Churchly perfectly optimized, fast loading pages is different and supports all existing browsers.